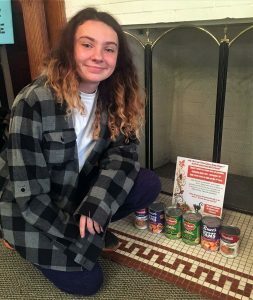 Upper School student, Sheridan Durant, had a wonderful idea: “We could Trick or Treat in reverse!” Her original idea was to round up students to walk through the Princeton neighborhood in costumes on Halloween – but instead of asking for candy, they would ask for canned foods to be donated to the local pantry. This idea morphed into something a bit safer, but still in keeping with the spirit of service. The Scare Away Hunger project asks the Lewis community to bring canned foods between Halloween and Thanksgiving. Her goal is to create a “Great Wall of Cans” that, when brought down, would open up possibilities to children who are hungry during this season of plenty. 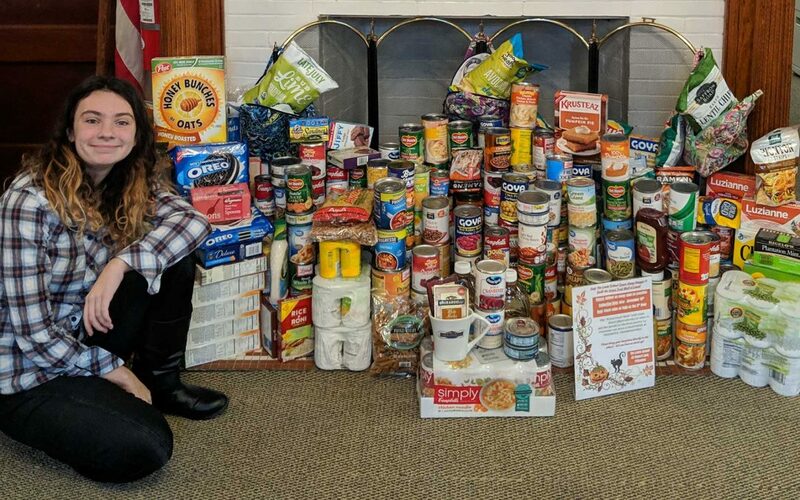 UPDATE: After one month of collecting canned goods, Sheridan was able to bring the donations to two food shelters in the Princeton area: The Jewish Family and Children’s Services and Arm-in-Arm. Delighted at the large donation, they said, “The food will keep us stocked for close to a month!” It always begins with just one.